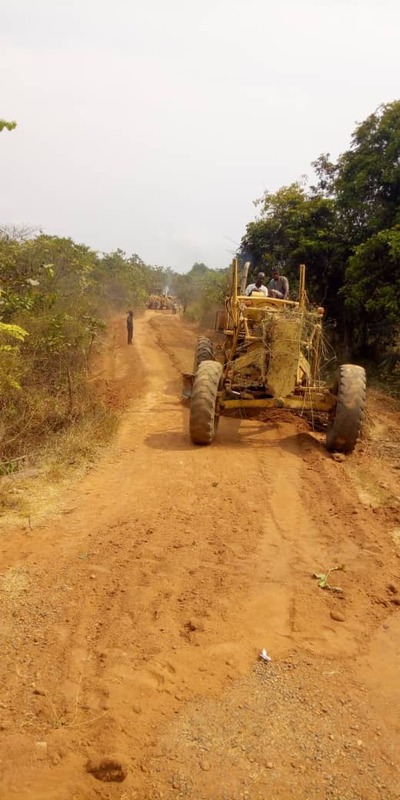 As part of effort at ensuring ease of movement in the all nooks and crannies of Orolu local government area as well as making life easier and meaningful for the people living in the rural areas and boosting grassroot development, the executive Chairman of Orolu local government Council, Prince Adekunle Benson has embarked on massive grading of all dilapidated access roads and rehabilitation of bad feeders roads across the local government. The council boss, while flagging-off the second phase of the grading projects at Ologele community on Monday, noted that the grading and road rehabilitation projects will ease the transportation of farm produce from the rurale areas to the market in the urban areas, adding that his administration would not relent its effort at ensuring that the entire people of Orolu will continue to experience and enjoy dividends of democracy. Benson, who had earlier promised to tackle the challenges facing farmers in transporting thier farm produce to the markets in the council area also remarked that rural dwellers were facing untold hardship and challenges of bad road network, saying that his administration will not relent in construction of good and motorable road network purposely to alleviate the suffering of the people in the area. 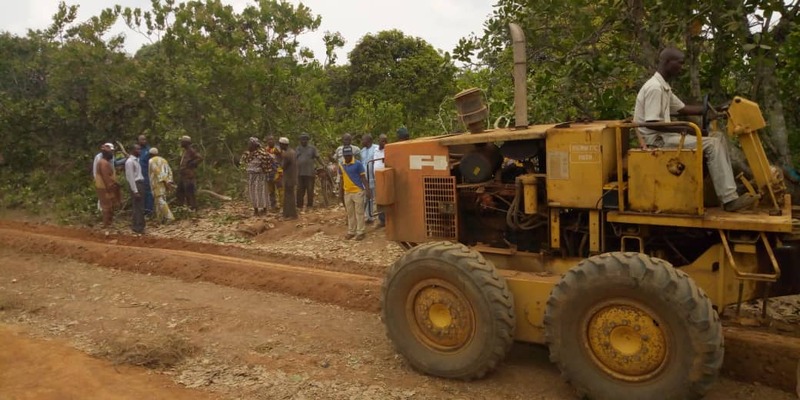 The local government boss expressed that the roads have been impassable for motorists while motocyclists and Okada riders make circuitous journeys and charges exorbitant prices to convey people and farm produce to the market which makes them to have nothing to show for after hard labour. Benson said the road projects will run in phases, adding that no community will be left out. 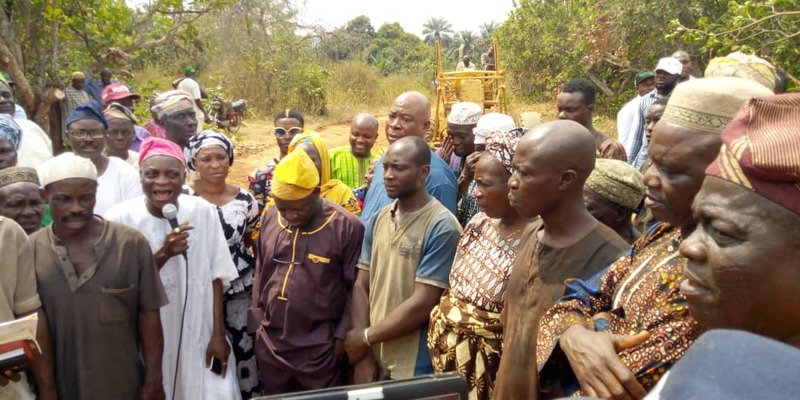 He therefore eulogized the executive governor of the state of Osun, Alh Gboyega Oyetola for the love he has for rural development and the people living in rural areas. However, he appealed to the entire people of Oroluland to reciprocate the good work of the government by supporting the APC-led administration in all its programmes and policies so as to continue experiencing and benefitting from unprecedented developmental projects in the area. The chairman also solicited for the unalloyed support for the ruling party, the All Progressives Congress (APC) in the fast approaching general elections by casting thier votes massively for the APC in all elections. Among the linking roads includes Ologele road which links Abeebi, Molufon, Ojeyemi, Idi Iroko, Wale, Oloso, Igbo Olooro, Gaa Fulani, Okiti, Makenikan to Shawmill among many others. 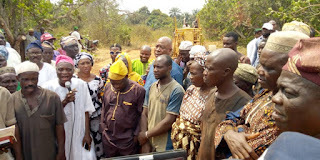 Mr Kolade Misibau who spoke for the community said the roads have been in deplorable condition for years while successive governments paid no attention till the arrival of Hon Prince Adekunle Benson who graded and rehabilitated the roads with waterways. 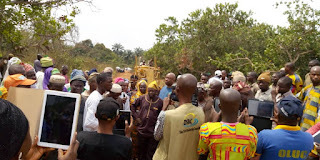 Mrs Aliratu Azeez who expressed joy for the gesture of the council boss to embark on the rehabilitation of the roads which have been eroded for years. She said that Ologele community and its environs have suffered untold hardship, adding that Orolu council boss, Benson has proved that he came to serve and not to be served like others did for seven and half years with no landmark achievement. He therefore thanked the council boss for the good work of rehabilitating and grading of the roads. One of the community leaders, Chief Adekunle Gazali, gave words of assurance to the local government boss on behalf of his people that the entire people of the community would not be ungrateful to the government and assured that come shine, come rain, they will continue supporting the government because to whom much is given, much is also expected. While speaking, hon supervisory councilor for works, hon Anthony Akinola reaffirmed that the rehabilitation and grading of roads are in phases and will ensure that all communities in the council benefit from the project. 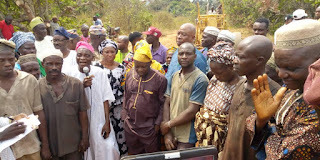 The event was graced by heavyweight political leaders which includes; Alh Kilani Orisawale, Hon Bukola Oyewo, Wards Chairmen, youths leaders, women leaders, and government officials of the local government which includes; the council manager, Alhaja Nimotallahi Olagunju, Engr Olaosebikan, H O D works; all Parliamentarians, chiefs, Iyalojas, community leaders and religion leaders.